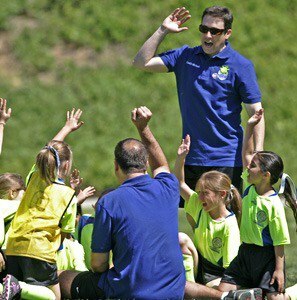 Please remember the 4 items required to become an AYSO volunteer Coach. 1. Volunteer form, Goto ayso39.org and follow the Link. 3. Current CDC Concussion awareness course. on-line, aysou.org, Please update if more than 2 yrs. 4. Be age appropriate coach trained and certified for the division you will be coaching. Classroom and field session training. Please, do not take the on-line 6U, 8U or 10U coach training. There is important Area/Region Specific information not covered in these trainings. If you are a new AYSO volunteer, Please go to ayso39.org, follow the link, and fill out a volunteer form, All volunteer shall complete this form each season. Now that you are an AYSO volunteer, Please go to aysou.org, take the Safe Haven and CDC concussion awareness courses. Go to ayso39.org and look for the coach course that you are interested in coaching, these are all classroom, field session courses. In aysou.org, sign up for a course, select the course desired and sign up. Course info will be in the comments section. City Parks - City parks not listed on this page shall not be used by AYSO teams for practices or scrimmages. Kimball Community Park, we have a four field lay-out on Soccer Field #4 & #5 Monday, Wednesday and Friday only. All other city park locations are not being allowed for practice, due to the drought. It is imperative that we as a Region cooperate with each other and support each other. When we set up a practice, utilize only the space that is necessary to accomplish your prepared practice session. Make sure you share with other coaches and teams. Don't hog the grass and don't camp out an hour before your practice. Just like the schools, do not use the grass, trees or bushes for a bathroom. When you leave your area, pick up all trash. If a school location is locked (regardless of time listed above) no one is to enter the property. NO DOGS are allowed at any school location during a practice session. ASK YOUR PARENTS TO KEEP THEIR PETS AT HOME. I Went to Coach Orientation. Now What?